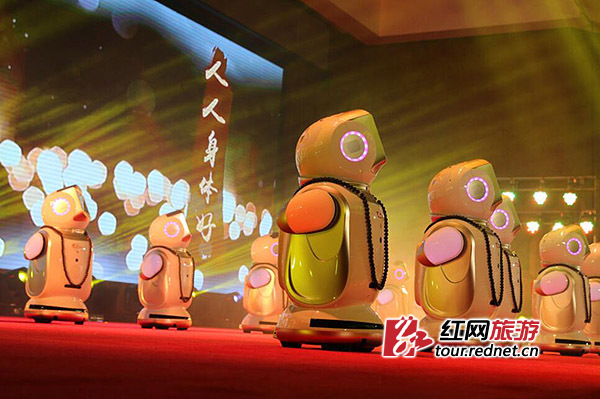 Illuminated by lights, the colorful Wanda Plaza creates a strong business atmosphere, becoming a highlight of Changsha's night scene. 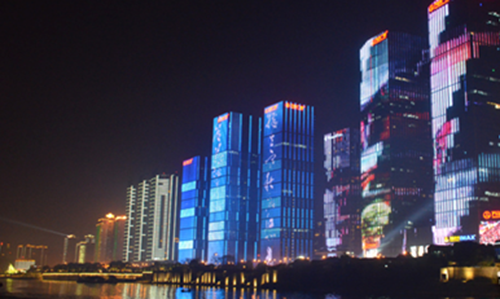 Wanda Plaza represents the illuminated night view with most visual impact in Changsha urban area. 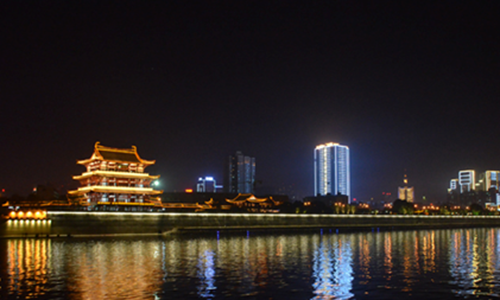 Dufu Pavilion on the eastern bank of the Xiangjiang River is one of the most important scenic spots in Changsha. 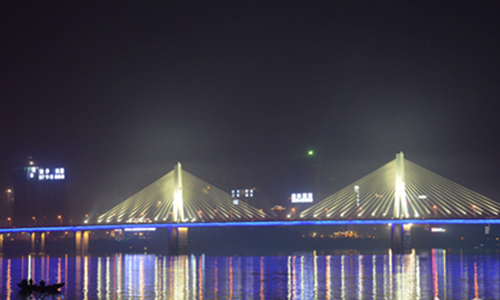 Under the warm and static flood light, the pavilion displays its classically elegant architectural style. 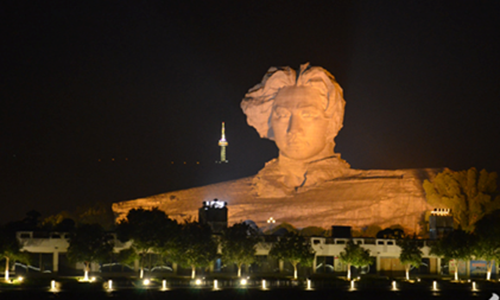 Stereoscopic impression of Mao Zedong Statue is fully displayed with proper control of the power and light angles of lamps. 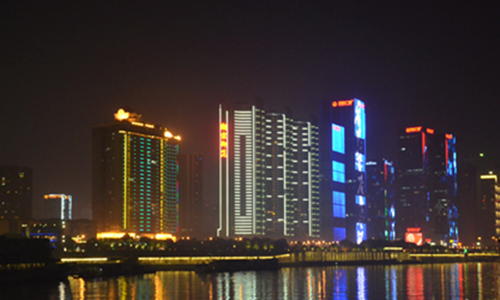 In rent years, a batch of new landscapes like East Bank of the Xiangjiang River, Orange Isle, Furong Square, and Dufu Pavilion are newly illuminated, marking the great achievements in Changsha's night view lighting project. 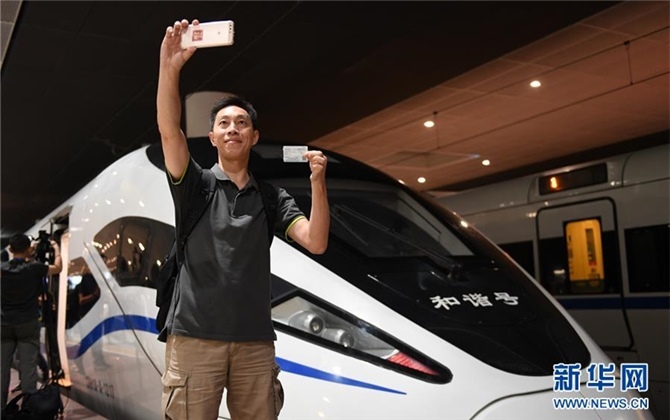 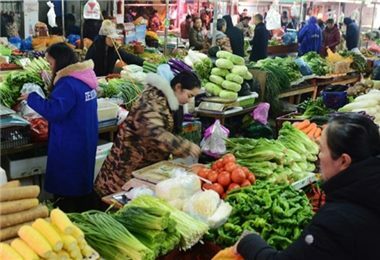 The project adopts the mode of organization of Changsha Municipal People's Government, coordination of departments, public participation, and input of different sectors.